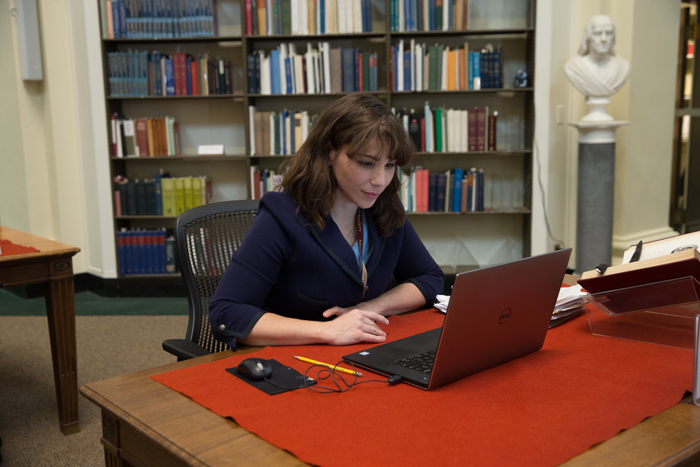 Scholars who are no more than three years beyond receipt of the doctorate are eligible to apply for a special year-long residential fellowship at the American Antiquarian Society to revise their dissertation for publication. Established as the Mellon Post-Dissertation Fellowship in 1998, the fellowship has been renamed in honor of John B. Hench, who retired in August 2007 as vice president for collections and programs after thirty-three years on the staff of the American Antiquarian Society. The Andrew W. Mellon Foundation, generous sponsor of this fellowship, has made a challenge grant to the Society, which is currently raising money to endow this fellowship. The purpose of the post-dissertation fellowship is to provide the recipient with time and resources to extend research and/or to revise the dissertation for publication. Any topic relevant to the Society's library collections and programmatic scope--that is, American history and culture through 1876--is eligible. Applicants may come from such fields as history, literature, American studies, political science, art history, music history, and others relating to America in the period of the Society's coverage. The Society welcomes applications from those who have advance book contracts, as well as those who have not yet made contact with a publisher. The twelve-month stipend for this fellowship is $35,000. The deadline for application for a Hench Post-Dissertation Fellowship to be held during the 2019-2020 academic year is October 15, 2018. The Hench Post-Dissertation Fellowship offers splendid opportunities for collegiality with and mentoring from the staff, other visiting fellows, and the academic community in and near Worcester, Massachusetts. Recipients of other AAS long-term and short-term fellowships--academic scholars as well as creative and performing artists and writers--will be in residence for varying periods of time throughout the Hench Post-Dissertation Fellow's tenure. The Society has self-catering accommodations that fellows may rent. Although fellows have priority, renting from the Society is not a requirement of those holding fellowships. When requested, the staff will do their best to suggest alternative accommodations in Worcester or environs. The Hench Post-Dissertation Fellow will be selected on the basis of the applicant's scholarly qualifications, the appropriateness of the project to the Society's collections and interests, and, above all, the likelihood that the revised dissertation will make a highly significant book. All materials for the Hench Fellowship are to be submitted online. For further information about the Hench Fellowship, please contact Cheryl McRell, Program Administrator at AAS, at cmcrell@mwa.org.